We are committed to maintaining the privacy of all website visitors and donors and to maintaining the confidentiality of their personal information. The NLT collects personal information (name, address, phone number, email address, etc) when a donor provides it to us. This information is used to process donations, to notify donors of special events, and, in the aggregate, to prepare required reports. Donors can opt out of our mailings by contacting us at any time. Donors may be listed as “Anonymous” in donor listings if they so choose. 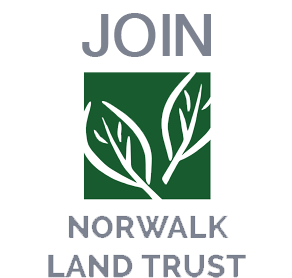 The Norwalk Land Trust does not sell, trade, or share its donor list with other organizations. The NLT website collects information about visitors to our site, including the number of visitors, the pages accessed and the length of visit. This information is used in the aggregate to manage and improve our website. If you have any questions about our privacy practices, please write to us at Norwalk Land Trust, PO Box 34, Norwalk, CT 06853.